Monthly Q & A Seminar on Legal Separation & Divorce Mediation, Towson, MD - Baltimore County. Call (410) 296-2190 for more information. There is no obligation. Space is limited!!! Call NOW to reserve your spot in this informative seminar about mediation! More information about our Free Divorce Mediation Seminar - click here or Contact our Office. Mediation of legal disputes is a vital tool for people and businesses facing legal conflicts. The traditional adversarial system frequently fails to produce satisfying results at a great financial cost. Conflicted parties are frustrated after the case is over. In family law matters, resentment after attorney-negotiated child custody, support and property settlement and separation agreements creates a tinder box for future disagreements. Where disputes are resolved by trial and orders of the court, litigants are labeled as winners or losers or both, and negative feelings are amplified. Negative outcomes plus crushing legal debts can be life-altering. If you are looking for a Maryland Divorce Mediator call Nancy Caplan, Esquire at (410) 296-2190. For families, who often remain connected by children after divorce, anger leads to a continuous loop of contention under threat of further legal process. Old conflicts fester and new conflicts grow fertilized by the old conflicts. Separation and Divorce Mediation is a process structured to break this stubborn pattern. With an office centrally located in Towson, the county seat of Baltimore County, family law mediation provides a sensible alternative to costly litigation of family law matters. Since 2000 the State of Maryland incorporated mediation into its processes and procedures to curtail litigation and the unduly aggravating adversarial nature of attorney-led negotiations. In Maryland courts, disputes over child custody and visitation (also called access) are often ordered to mediate. Even if the child custody mediation is successful, the issues of alimony, support and division of assets, allocation of debts are left behind in the hands of the lawyers and judges. Private divorce mediation tackles all of the issues in a single setting- the Mediator’s private settlement table. The sensible question is why not begin your separation and divorce negotiations in a private and confidential mediation? Parties are often shocked by the language and tactics of their attorneys. However, lawyers are sworn to be a client’s zealous advocate in negotiations, and if attorney-led negotiations are chosen, the problem does not necessarily lie with the lawyers, it lies with the choice of process. That is your choice. You seek diplomatic negotiations over adversarial negotiations. You want a neutral private setting instead of a public forum airing your personal issues. You desire to reserve your funds for your family instead of incurring massive legal debts. You hope for a civilized co-parenting relationship with your children’s other parent in the future. You wish to avoid repetitive legal entanglements with your former spouse in the future. You want an experienced family law attorney as your family law mediator. You hope to pay for each session without the outlay of an enormous retainer. You need flexible scheduling options for regular business hours or evenings (and weekends in cases of employment hardships, or travel from distant counties). You seek a Maryland divorce mediation lawyer who has personally experienced divorce and post- divorce co-parenting. You desire an ethical mediator who ensures a level negotiating field by requiring independent attorney review of every mediated Marital Settlement Agreement. Reputable mediators abide the Maryland Standard of Conduct for Mediators during the Mediation. The goal at Nancy Caplan, Esquire, Maryland Divorce Mediation & Legal Services is to produce fair, practical and final resolutions to your marital issues of alimony, child custody, child support, and property settlements or parenting or separation agreements in Maryland. Divorce Mediation with Nancy Caplan, Esquire provides a private, confidential and affordable way to resolve your family law issues. Ms. Caplan provides mediation services as well as drafting services for parenting agreements and property settlement agreements. Ms. Caplan is a Maryland Divorce Mediator who can help you reach a Property Settlement Agreements, also known as separation agreements, legal separation or marital settlement agreements refer to the terms agreed by the parties relating to alimony, child support, visitation and custody issues, healthcare coverage, use and possession of a family home, settlement of property issues and distribution of debts and tax issues. 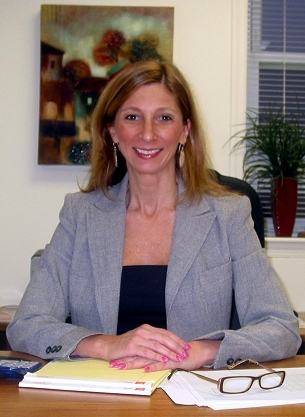 Located in the hub of the county seat of Baltimore County, Maryland in downtown Towson, the Attorney Mediator, Nancy Caplan, Esquire, will act as the neutral manager of your cost-effective negotiations to achieve fair results while avoiding the pitfalls of litigation and attorney-driven negotiations. 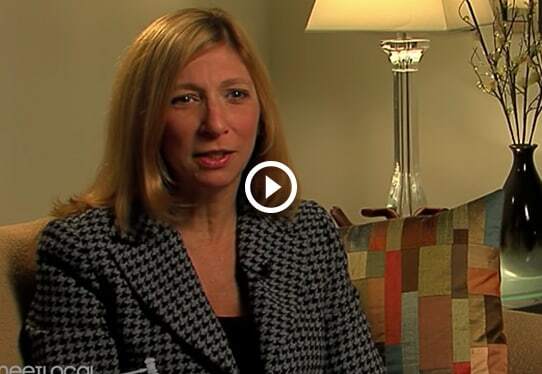 Since 2006, families hoping to resolve difficult crisis situations in a non-adversarial, reasonable manner have chosen Maryland divorce mediation attorney Nancy Caplan. Family law mediation with an experienced Attorney - Mediator is a civilized and logical choice before or even during adversarial litigation or attorney-driven negotiations. Bend, don’t break- Mediate. Move forward right now, and call Nancy Caplan at (410) 296-2190. Parties without minor Children no longer must wait for a one-year physical separation to file for an uncontested divorce in Maryland. However a signed, formal Settlement Agreement is required, which Agreement is not challenged by either party at the time of the divorce hearing, which both parties must attend. Mediation for Child Custody is often required by the Maryland Courts. Nancy Caplan, Esquire has handled many Baltimore family law mediation matters as well as all surrounding counties, relating to child custody. Choose the mediation process over litigation to support a healthy co-parenting relationship to accomplish your Children’s healthy transition after separation and divorce. Mediation for Maryland Child Support issues makes good sense. Let the Mediator help you run the Maryland Child Support Guidelines and to negotiate conflicts relating to Child Support. There are many issues that affect Alimony in Maryland. Mediating Alimony with a Maryland divorce mediator to resolve Alimony and support disputes allows both parties a chance to be heard and to work together to come to solutions that are fair and equitable. Obtaining a written settlement agreement is often the goal of mediation participants. You will need a Settlement Agreement to obtain a Mutual Consent Divorce. Marital Settlement Agreements, Separation Agreements, Parenting Agreements, Amendments and Modifications of Agreement all available for drafting for independent attorney review. Are you ready to move past the challenges of separation, divorce and conflict? Let me help, call Nancy Caplan, Esquire, a Mediator in Maryland, at (410) 296-2190. Nancy Caplan, Esquire, attorney-mediator has constructed her unique mediation and/or settlement conference process for separation, divorce and co-parenting matters designed to break down many of the barriers to settlement of family law matters. No retainer is required and flexible appointment hours include regular business hours, evening hours, and weekends if there is a hardship finding weekday child care, or employment conflicts, or if the parties are traveling from a long-distance. Ms. Caplan's mediation and settlement process is completely voluntary and there is no pre-determined time commitment by the parties. Discussions had in mediation are confidential and are not binding until and unless the parties reduce their mediation and settlement discussions to a formal written agreement, which is reviewed by each party's independent attorney and signed before a notary. Ms. Caplan wants families to avoid the legal costs navigating the court's processes and the aggravation of aggressive adversarial negotiations. Keep your savings for your futures and your children's futures. Bend, don't break. Mediate. Mediate with Nancy S. Caplan, Esquire, attorney and mediator since 2006.